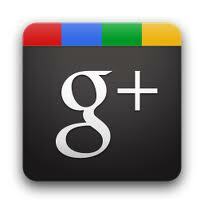 Social Research: Google Plus - invite? So are you like me waiting for a Google Plus invite? Come-on Christian, Larry, and Sergey I’m etching to get my mittens into this. As we’ve heard Google is rolling out the service in waves and we can expect it to become a ubiquitous social option real soon. Early users of Facebook will know that if two people wanted to see each other’s updates, both needed to “friend” each other. Of course we can “like” groups now too. Twitter has always been a one-way thing. I can follow you but you do not necessarily have to follow me back. Circles - The idea that we share different things with different people. So sharing the right content with the right people is a plus. Hangouts - You will be able to let specific people or an entire circle you are hanging out and then see who drops by for a face-to-face-to-face chat. Sparks - By telling Sparks your interests and it will send you content that it guesses you’ll like. Huddle - turns different conversation threads into one simple group chat, getting everyone onto the same page.